This is what I was wearing a few days ago. I'm wearing the shoes like everyday and I really need another pair for this winter. It's definitely sweater weather, it's cold outside and raining all day long. Yes, I do prefer snow this time of the year, but I'm already accepting the fact that we won't have a white Christmas this year, unfortunately. 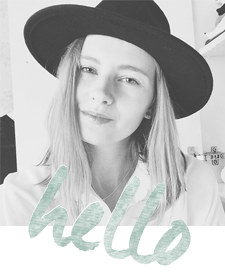 You can also follow me with bloglovin' now!